Passed peacefully away after a short illness, surrounded by family, Anita Elizabeth Fisher, on Wednesday March 21st, 2018. Predeceased by husband, Robert (Duke); parents James and Florence Eustace; sisters Mary Edwards, Dorothy Tepper, Carrie Cook, Minnie Long, Florence Young, and Frances Small. Leaving with fond and loving memories, sons Rick (Paula) and Doug (Valerie); grandchildren Andrew Fisher (Terri Lynn), Leigh Stang (Ryan) and Christina Fisher; three great-grandchildren, and many nieces and nephews. Also a large circle of friends at Masonic Park and Mount Pearl Seniors’ Center. Many thanks to Dr. Andrew Rossiter, the Eastern Health Home First team, and the Palliative Care team and staff at HSC Cancer Center and Miller Center. Visitation at Carnell’s Funeral Home, 329 Freshwater Road, on Friday March 23rd from 2 to 4 and 7 to 9 p.m. Service of remembrance at the Carnell Memorial Chapel on Saturday March 24th at 2pm. In lieu of flowers donations in Anita’s memory may be made to VOWR or a charity of one’s choice. Rick, Paula and family: Our sincere condolences. May fond memories of good times shared bring comfort to you. I worked with your Mom in the eighties,your Dad would drop by and get her after work and I got to know him as well. I am sorry to here of her passing,your mom was a excellent person to have known and worked with. May the angel’s lullaby bring you peace and quiet in this storm. In the coming days, your memories of your mom will embrace you and cause you to smile as you find yourself remembering how incredibly special the legacy of love she’s left behind is. I have such wonderful memories of your mom when she visited at the “cabin” and more recently when I visited my Mom and Dad in Masonic Park. She was a kind lady with a swift smile. Rick, Condolences to you and your family. Cherish all your great memories. Rick and Doug and families. So sorry to hear about the loss of your mother. She was a long time friend of our mother (Leona) and I have many fond memories of her growing up in the old neighbourhood on Commonwealth Avenue. May God bless you and your families during this time of loss. Condolences to the Fisher family. My thoughts and prayers are with you all at this time. May she rest in peace. 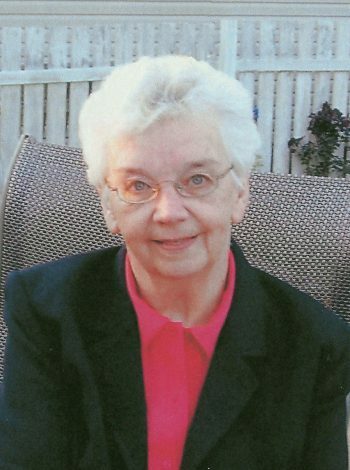 On behalf of all staff and management at Atlantic Grocery Distributors, we would like to express our sincere condolences to you and your family on the passing of your beloved Mother. Wishing you peace to bring comfort, courage to face the days ahead and loving memories to forever hold in your hearts. God Bless. by Atlantic Grocery Distributors Ltd.
Doug, —-so sorry to here of your Moms passing. Our deepest condolences to you, Val, Christina and your entire family.